The game started as a small experiment by programmer Sebastian Mayer, posting updates on the TIGSource forum in April of 2014. Soon his experiments became rather popular and at some monent Garret Randell stepped in to make some artwork. Later Garret probably asked Gordon McGladdery to come along for the ride. Gordon would start making the soundtrack and sounds for Parkitect. Now 1 year has passed and Parkitect is about to get in the hands of people in the form of a public alpha. The devblog is currently counting 60 updates. Update 7 was the first update after the kickstarter campaign and introduced Garret, showing of some of the first textures for the game and the art style they had in mind for the game. 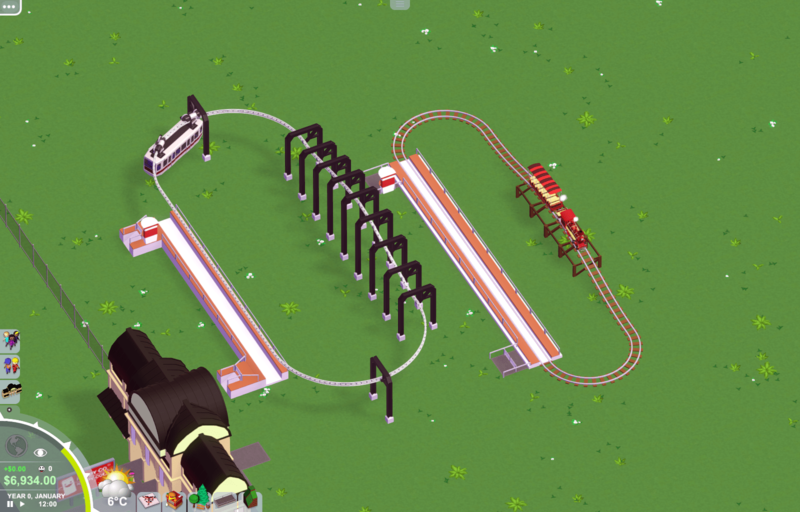 Soon after they showed off some improvements to the coaster tracks based on feedback from others, systems for calculating disallowed placements were also added. 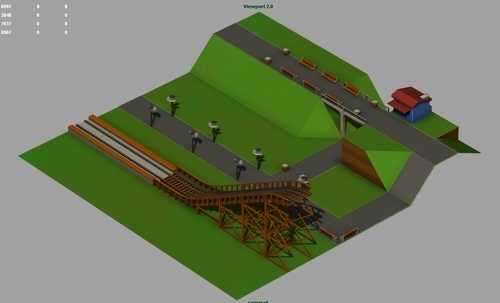 The next updates showed improved peeps models, more coaster options and the placement of shops and flat rides. Then later the UI was introduced into the game to have a create a nice UI for building coasters, different path styles and more. The first song was also introduced by Gordon giving the game a real feeling. After more fan feedback, Sebastian came up with a feature to scale rocks, giving them different sizes. This is a great extra feature that I wish more games would have. 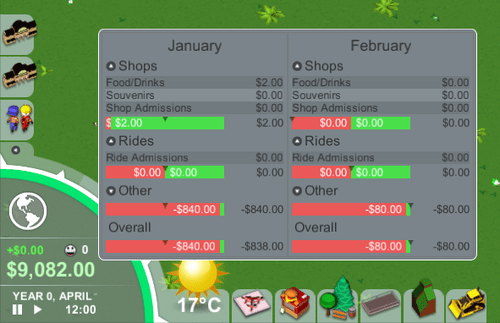 Soon after it was time for the important part of theme park simulations: money management. 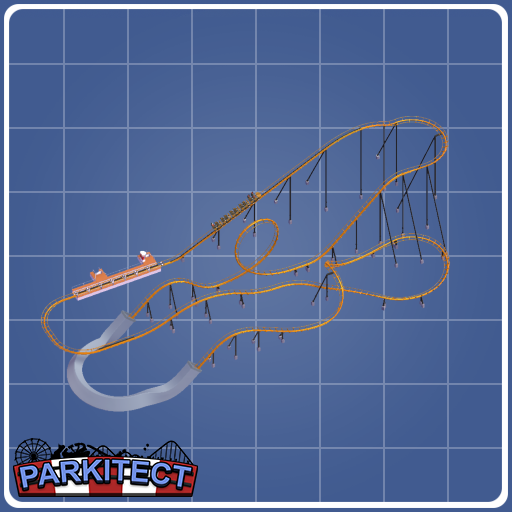 Sebastian also added the ability for tunnels and underground coasters to be created. This is something even a triple AAA game is having trouble with. 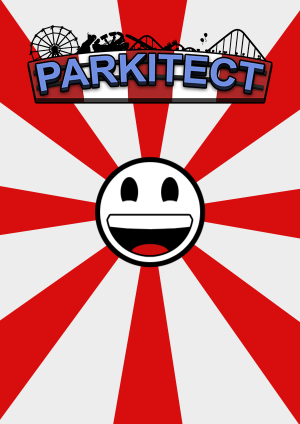 But parkitect got it done nicely. In the next update, they would introduce water to the game. 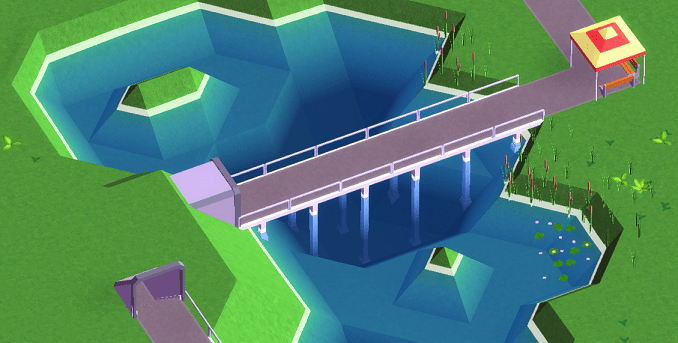 Creating a log flume and the general ponds, which only serve a decorative purpose for now. 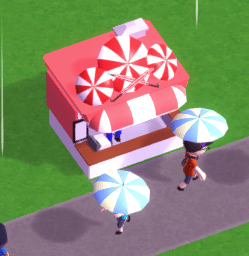 Rain was also introduced, with the umbrella shop to get money from those in rain drowning peeps. 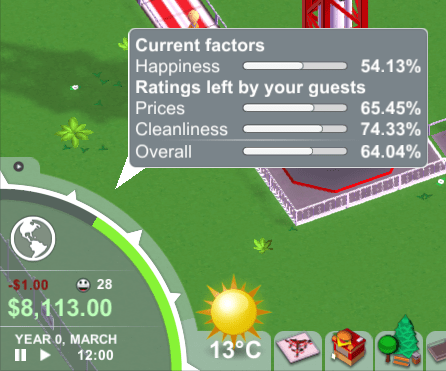 A simple park rating system was also put in place. Now we are nearing the end of the dev blogs section of this post because we are almost near update 60. In this period only things happend to the simulation on the back side, giving some bugfixes and tweaking. But garret made some new rides and a zoning system was introduced. 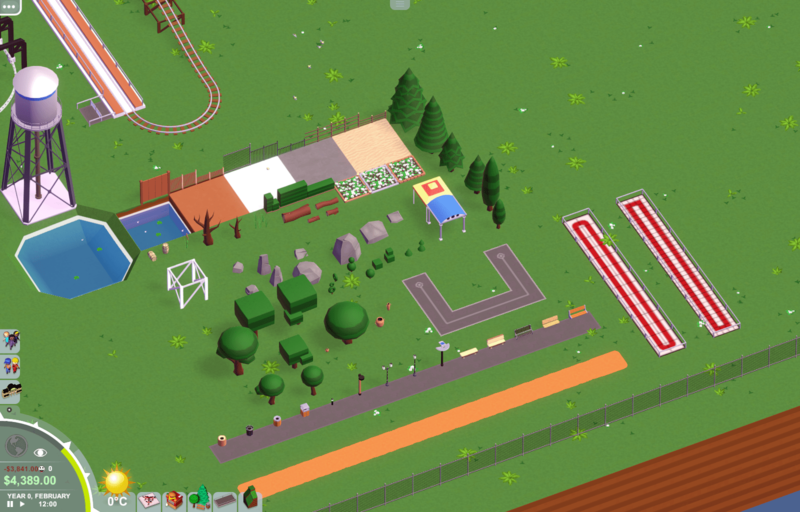 The zoning system helps you plan out your park before building anything and will later connect with the maintenance and janitor systems. But more importantly was the blueprint feature. 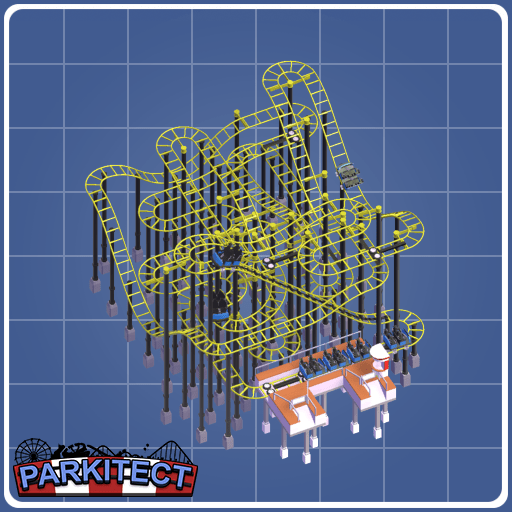 This feature allows you to save coasters to share online and put back into your game. How did they do this? In a single PNG image! All the coaster data is saved in a PNG image that can actually be shared on Social Media and really put into the games folder to get the coaster in game. What a great feature! Of course the big question is what is in the game currently. 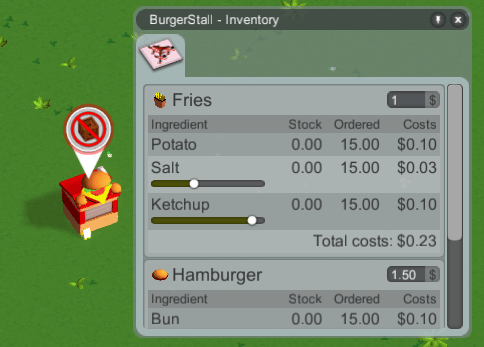 Currently the money system is more of a placeholder and so is the rating system. The staff system is already in place to fix your rides and keep your park clean and secure. For these staff members there are also special employee paths to bring the behind the scenes to rides with a shortcut. The rides you can find below as well as the scenery. The game currently features 15 flat rides including a Merry-G0-Round (currently without a catchy tune), ferris wheel, observation tower and the classic twister. There are also 7 coaster types: a log flume, mini coaster (similar to junior coaster), steel coaster, suspended coaster, wild mouse (not the spinning type), wing coaster and wooden coaster. And to transport peeps around you park, there are 2 transport rides, the suspended monorail and the miniature railway. These will actually be used by peeps as transport rides like in RCT 1 and 2. Next to all the coaster and flat rides there are of course other scenery items in place to decorate your park and paths. Above you see all of them. Please do note that some decorations have color options which are not shown here. The one thing that separates parkitect from the rest of the games should be the behind the scenes and shop system. The shops need stock to operate and they will run out after some time. The stock is automatically delivered to your park entrance, but it has to be carried in by workmen to actually fill the shops. This is where the behind the scenes system comes in. 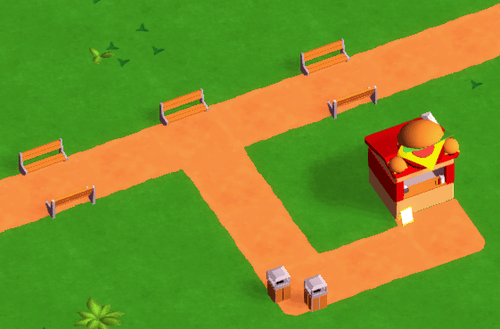 You can make special paths for your employees to carry stock or get to rides quicker. Only employees are allowed on these paths. 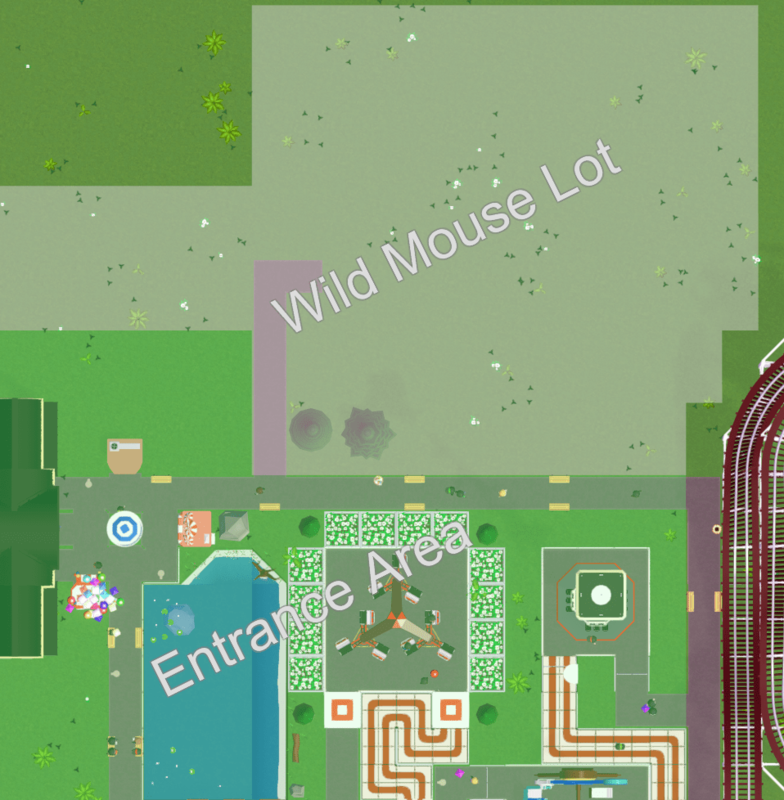 If you shield these paths with scenery you might even get a higher park rating. Parkitect is still in development and we won’t see an early-access release on steam this year probably. But they have announced they will give everyone access to the game trough Humble somewhere in September or October during an Alpha. 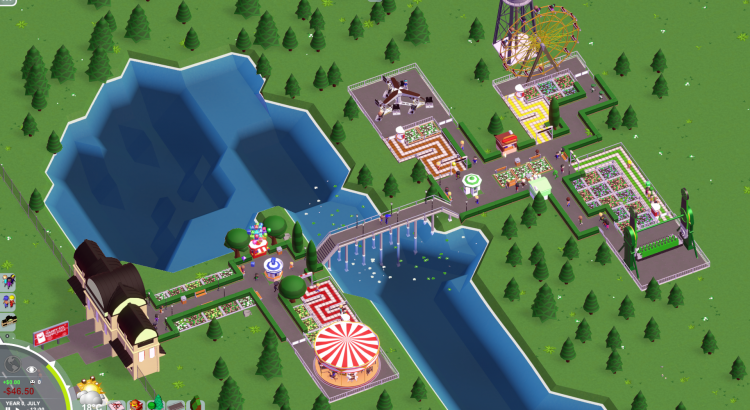 The current parkitect is already a great game, it still have some things that need some work and some things still have to be tweaked. 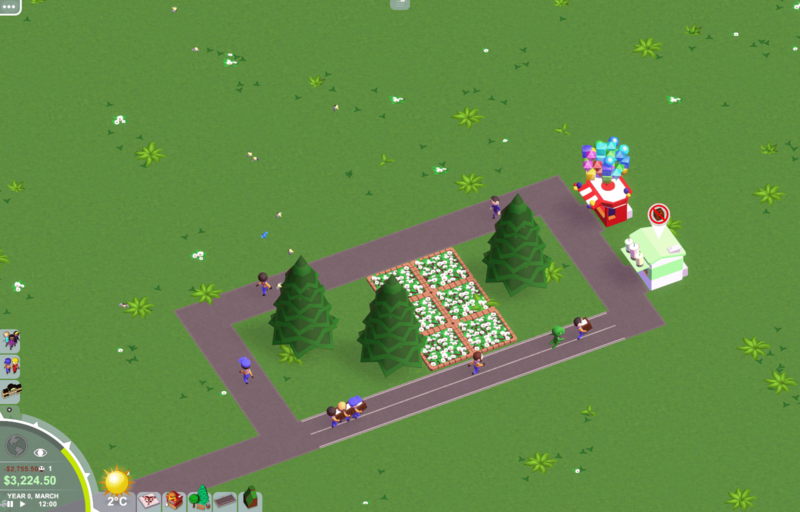 But it’s already great to build a park and once the scnario’s are in place I’m sure it will make a great game. I wish Sebastian, Garret and Gordon all the best of luck making this game great! If you want parkitect but didn’t back during the kickstarter, you can go to their website here and pre-order the game. You will then soon get access to the alpha version of the game, somewhere in september or october and get the game DRM free when it’s released. 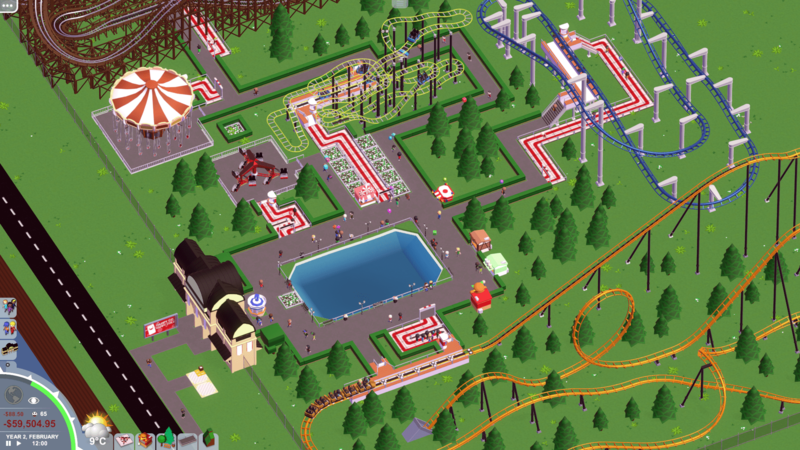 Loads of questions might remain about parkitect, but to answer some of them, we will be livestreaming Parkitect tonight at 20:30 CEST on our twitch channel: ThemeParkGames. To find your local time, see the widget below. The Live Stream has already ended. We’ve built a nice small park and a coaster that took a bit too long to build named shitstorm. If you want to watch the stream again you can replay it here. If you want to download the save game, you can download it here. And if you want to download our “Shitstorm” coaster. You can download it here.